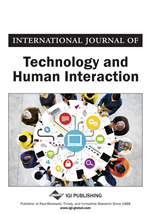 This study assesses the psychometric properties of a Spanish translation of Doll and Torkzadeh’s End-User Computing Satisfaction (EUCS) survey instrument. The study provides evidence that the EUCS Spanish version can be used as a valid and reliable measure of computing satisfaction among computer users in Mexico. The study also adds support to the use of the EUCS instrument in the investigation of the perceptions of computer users in countries other than the United States (U.S.) and in languages other than English.